When St. John the Baptist Church in Johnsburg burned down on Feb. 18, 1900, a door was opened for a new Catholic Church to take root in nearby Spring Grove. After the fire, about 30 German Catholic families from the small community petitioned Chicago Archbishop Patrick Feehan for permission to start a new parish. He agreed, but only if the parishoners could find their own priest. The Rev. Clement Duerr delayed his retirement to lead the new parish and on Feb. 2, 1901, Candlemas Day, parishoners dedicated their white wood frame church, complete with stained glass windows and a German wood altar. In 1906, the church celebrated a confirmation class of 50. Duerr retired five years later. 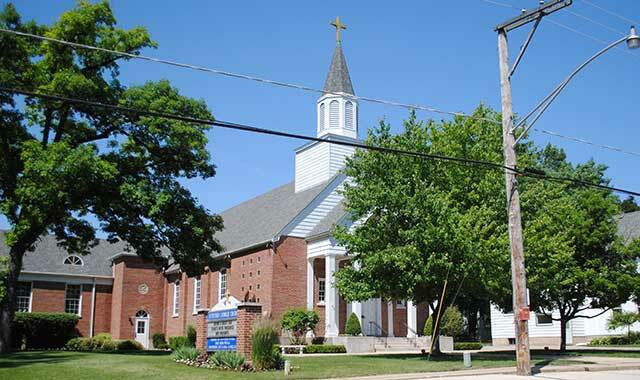 The parish continued to grow over the next several decades, and in 1948, ground was broken for a larger church. A shrine to Our Lady of Fatima was dedicated in 1952. St. Peter Preschool started in 1997, under the leadership of Aimee Thomas and Diane Barycki. The preschool still maintains a presence in the community today. The church celebrated its centennial in 2000 with several special events, including a group trip to Rome and the dedication of a new cemetery. Monsignor Joseph Jarmoluk has led the parish since 2009. Mass is held Saturday afternoons at 4 p.m., and Sunday mornings at 7 a.m., 9 a.m. and 11 a.m.. Confessions are held Saturday afternoons from 3 p.m. to 3:45 p.m. and by appointment. 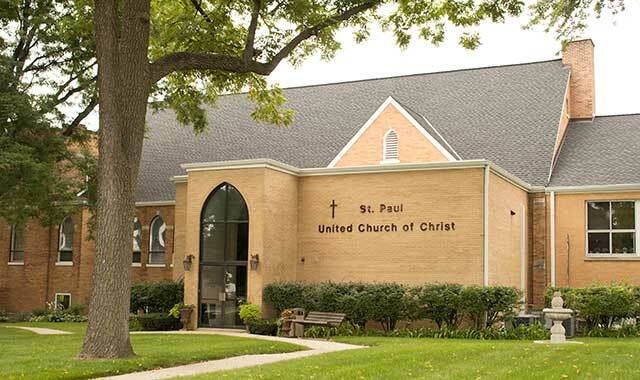 St. Paul United Church of Christ is one of the oldest churches in Palatine, founded shortly after the village’s incorporation in 1866. Many of the town’s early settlers were retired people from the nearby settlement of Plum Grove. Pastor Richard Kruger began serving these newcomers with a mission church in 1870, holding services bi-monthly in the old Masonic Hall. In 1871, the growing congregation organized itself into the German United St. Paul’s Congregation. The original church building was dedicated in 1872. That same year, a parsonage was built, which was destroyed by a fire and rebuilt. In 1888, a small schoolhouse was created. Between 1871 and 1921, 12 pastors were called to serve St. Paul. One of these was the Rev. Louis Kurz, who, in 1914, began to offer Sunday school classes and worship services in English. Until that time, only German-language services were offered. The congregation continued growing at this time, forcing the congregation to establish a new brick church, which was dedicated in 1925. By the 1950s, Sunday School was serving nearly 150 students each week, so the congregation established an education wing, completed in 1957. The sanctuary was renovated during St. Paul’s centennial year. Additional improvements have included the installation of an elevator and handicap-accessible features in 1985. The Rev. David Mercer leads worship services every Sunday at 10 a.m. Children’s Sunday School is held during the worship service. This entry was posted on Monday, October 10th, 2016 at 11:59 am	and is filed under Mind & Spirit. You can follow any responses to this entry through the RSS 2.0 feed. Both comments and pings are currently closed.